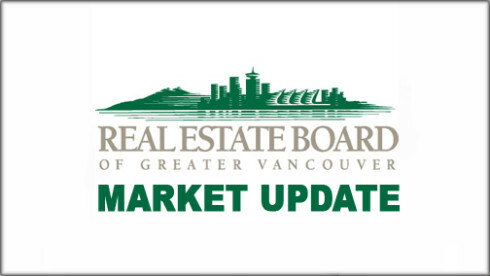 Home > Blog > Have Vancouver housing markets really shifted? Have Vancouver housing markets really shifted? The daily media predictably jumped all over the sharp decrease in sales activity that followed a jump in the property transfer tax for foreign purchasers of residential real estate in Metro Vancouver. “Vancouver property sales plunge as foreign-buyers tax takes effect,” proclaimed one headline; “September home sales plunge nearly 33% in Metro Vancouver,” ran another. The message was that the market had gone off a cliff. However, a drop in detached home sales was what drove the dramatic year-over-year declines that followed the new tax taking effect. Attached and apartment properties saw declines, but usually just half the hit detached homes took. RBC Economics went so far as to say that the slowdown – which actually started earlier this summer – was tapering off. The impact of the tax was softening, the bank reported. Moreover, taxing foreign buyers really hadn’t benefitted Canadians. “A ‘collapse’ in prices often is meant to be a 25% to 30% decline. In the case of the Vancouver area, however, a drop of this order would roll the clock back only nine or 12 months,” RBC reported. While the tax was sound politics, it unsettled markets with limited practical effect. Indeed, the province’s latest figures indicate that foreign investment in B.C. residential properties increased slightly in September. This confirms RBC’s belief that buyers are learning to live with the tax. Meanwhile, housing remains out of reach for many of the people the province hoped would benefit from a cooler market. Many believe the key benefit of the tax will be a cooling of foreign demand, giving local demand a greater influence on the market. According to this argument, steady job growth will continue to support sales and ongoing price growth. By fall 2017, prices may well have increased over current levels. The only difference is that the buyers driving prices higher won’t, by and large, be foreign nationals. Westside apartment prices continue to increase, even as October sales of those units decreased. Kitsilano condos bucked the trend, but Dunbar and UBC condo sales saw strong pricing. Since the tax, we have only local buyers to blame. Some worry that the headlines could prompt builders to cut back on starts, which can only drive prices higher. Meanwhile, attached home sales have increased, encouraging listings (as predicted here). Opportunities in Vancouver Westside real estate remain. The months since the tax took effect prove the old adage – there are no bad markets, only bad deals.